Our engineering team often works with owners and designers to help determine pile size and spacing options for the boardwalk construction projects they’re evaluating. As professional engineers at PermaTrak, we take a support role in helping project managers, landscape architects and engineers pull together layout drawings for PermaTrak boardwalks and pedestrian bridges. Eventually these preliminary drawings can develop into a full set of detailed construction documents that can be incorporated into the bid drawings. 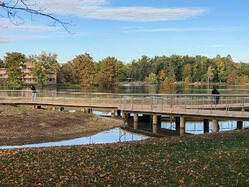 Related Article: Boardwalk Design: Engineering Fees for Construction Documents? Today I wanted to share the steps we take when evaluating a client’s foundation pile options for their elevated boardwalk or pedestrian bridge structure. There are dozens of directions a boardwalk design can go, but in the initial design feasibility discussions we generally follow the outline below. Note: For this article, we’ll define piles as vertical foundation columns used to support elevated walkways and pedestrian bridges, and/or to allow passage underneath. Related Article: Which Boardwalk Foundation Is Right for My Project? In discussing boardwalk designs, the first order of business is to figure out what size boardwalk a client needs and assess their loading requirements. Will this be a narrow pedestrian bridge, does it need to be the same 12-foot width as the multi-use path it connects to, or does the owner need to support a vehicular load for a maintenance truck, etc.? Once we know the size of the structure and its live load requirements, we are able to run our calculations and determine the load that goes onto the piles- the actual reactions. Determining the foundation reactions is a function of several different criteria, including the width, loading, and span. The span, or the longitudinal distance between the piles, is typically the unknown. For planning purposes, we can initially assume a fairly long 20 foot span with our reinforced precast concrete beams. The most beneficial geotechnical report will provide recommendations on pile type, depth, and capacity for each option. Different foundation pile options come with different pros and cons that the specifying designer must weigh. For example, a short timber pile may be the most economical, but may require tighter spacing and many more piles overall due to the limited capacity. It may be more desirable to install deeper piles and less of them. Additionally, heavier piles require larger construction equipment and site access, and methodology must be considered. Consider that a 12" diameter composite pile only weighs 10 pounds per foot compared to 45 pounds per foot for a timber pile. 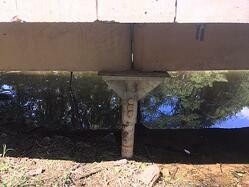 How do pile diameters affect the design of a boardwalk foundation system? The selected pile diameter must first and foremost meet the structural requirements due to lateral loading and buckling. The relatively low loading imparted by boardwalks to piles will normally not drive the diameter. 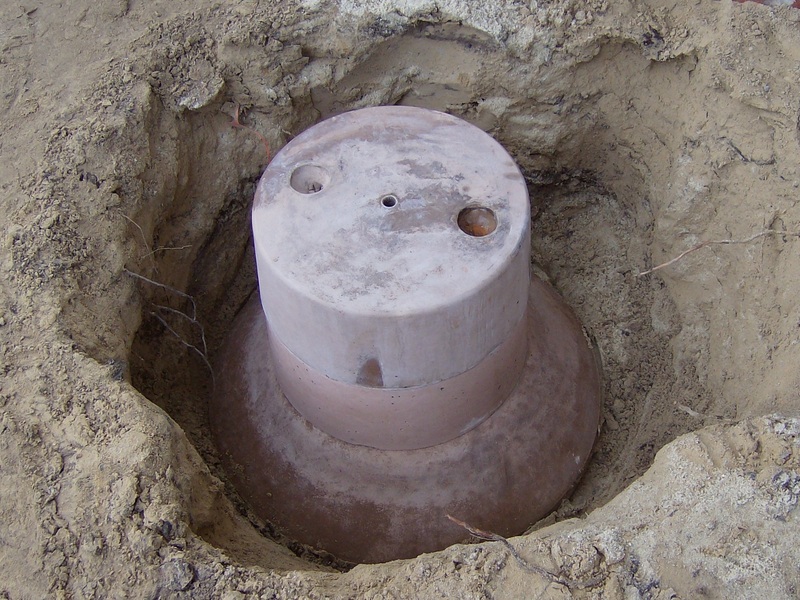 Consider that helical piles with 2 7/8" to 6" diameter are very common for our system. However, at elevated heights exceeding 48", some minimal cross-bracing may be required. On certain project sites, it may be beneficial to the overall project cost to specify a larger diameter pile. Larger diameter piles used on PermaTrak boardwalk projects provide a larger target to install the beams in the field. Small diameter piles can be used with boardwalks, but they require greater precision for prefabricated boardwalks like PermaTrak. Increased field tolerance can be achieved with the use of a precast concrete cap or steel bearing plates. The caps serve as the transition point between the foundation system and the PermaTrak boardwalk system. Learn more: Beams are the main structural load bearing element of the PermaTrak boardwalk system. When considering smaller diameter piles such as micropiles or helical piles, we will consult with the landscape architect or engineer on how best to design the connection between pile and PermaTrak system. This may require a bolted plate that the PermaTrak beam rests on, for example. We know that if we can maximize the space between piles, it will reduce the number of piles needed. In many cases this reduces the overall cost of the project for the owner, while still achieving a reliably engineered solution. Trying to maximize the spacing between piles isn’t always a no-brainer, though. On some projects, construction requirements necessitate a tighter pile spacing. We designed PermaTrak for a recent project in North Carolina where the need for top down construction required a 10-foot pile spacing instead of the 20-foot spacing that would have otherwise been possible. On another project with inexpensive timber piles, the cost savings of a 10-foot PermaTrak beam vs. a more expensive 20-foot PermaTrak beam outweighed the small price increase of having to install more piles at that 10-foot spacing. So even though there were more piles, the total cost of the boardwalk construction was reduced. Our job is to work with the engineer, landscape architect, or project manager to help find a cost-effective solution that minimizes the overall project cost while still getting the owner the durable boardwalk system or pedestrian bridge they need for their city, county or agency. Once we know the approximate diameter and depth of the piles, and assuming the widest span that the project can handle, we take a look at the reactions as well as the geotechnical report. From there, we can start to approximate pricing for the boardwalk foundations. Calculating pricing for boardwalk pile foundations can be an iterative process, as there are cases where it makes sense to use a tighter (shorter) span with more foundation piles, particularly if they are low-cost. We can run multiple different cost scenarios to determine the best option for each boardwalk design. Rather than our clients having to look at 10, 15, or 20 different scenarios, we can identify the best 2-3 and guide them in coming up with the best solution. Given that many of these boardwalk construction projects are 3-4 year processes with a laundry list of decisions that must be made, designers value our ability to educate and assist them in making some of these decisions. 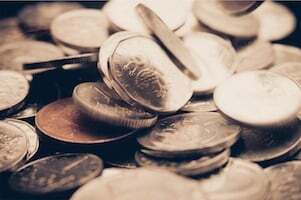 With all of these options around pile type, material, length, diameter and method of foundation construction, it’s easy to get overwhelmed when you need to supply budget pricing to a client. This is where our engineering team can consult with the project’s design team to find the “sweet spot” - balancing foundation cost and boardwalk material cost. Determining the pile needs on boardwalk designs is something that we at PermaTrak do everyday, and our clients really appreciate that we’re able to be quick and efficient. Our experience enables us to save clients significant amounts of time, as we can look at a project and intuitively know what the best case scenarios typically are. On one particular project in northwest Indiana, soils were extremely poor, so the client required steel H-piles, which tend to be pricey. In order to achieve the required capacity, the piles needed to be driven 50-60 feet deep - amounting to $10K+ per pile. Competitor structures such as pressure-treated wood boardwalks typically span 8 to 12 feet between piles. But PermaTrak’s inherently stronger material (reinforced precast concrete) can span 20 feet. For beams that need to be longer than 20 feet, designers can specify a PermaTrak large beam series, which have been used up to 50 feet. Doubling the spacing between piles offered by competitors allowed us to cut the number of piles needed by half. So even though our PermaTrak concrete material cost more than the timber used by competitors, our ability to reduce the number of necessary piles drastically lowered the overall installed cost of the boardwalk project. The owner then also has the added benefit of far better durability and no required maintenance. 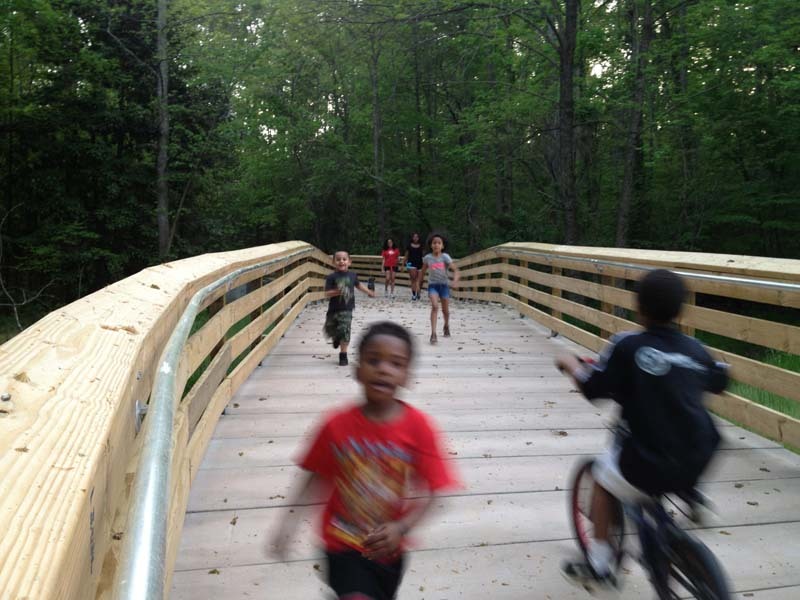 Related Article: Is PermaTrak an Option for Your Pedestrian Bridge? 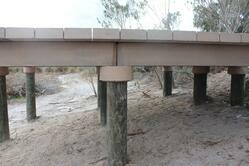 Contact us for help with your boardwalk or pedestrian bridge project today! Boardwalk projects may be identical dimensionally in length and width, or aesthetically in color and texture, but the foundation systems chosen can be very different. Is PermaTrak an Option for Your Pedestrian Bridge Needs? While most PermaTrak projects use the system for commercial boardwalks or multi use trail crossings, our engineering team can also provide you the support needed to create a pedestrian bridge solution for your project.